Continuing our 20 day celebration of AnandTech’s 20th anniversary, we’re now on Day 2 of our giveaways. If yesterday’s AMD gear didn’t catch your fancy, then perhaps today’s will with our first mobile-focused giveaway. For today’s giveaway the awesome crew over at HTC has sent over one of their unlocked 64GB HTC U Ultra phones, the company’s current flagship smartphone. 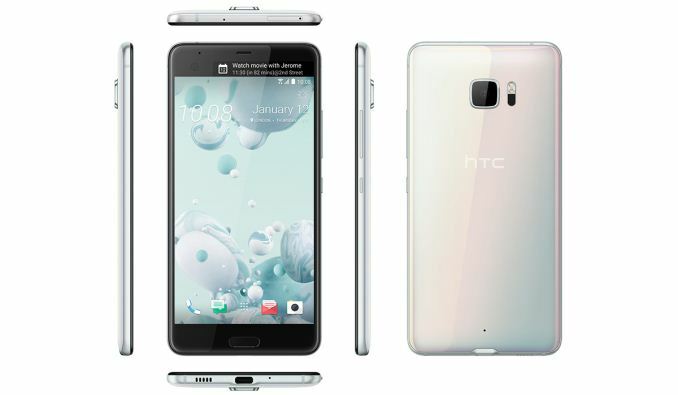 The HTC U Ultra is a 5.7-inch phone that incorporates Qualcomm’s Snapdragon 821 SoC, along with an X12 modem, 4GB of LPDDR4 RAM, 64GB of UFS 2.0 flash storage, a 12MP “UltraPixel 2” camera with OIS, a 2560x1440p LCD paired with a 160x1040 LCD for the bezel, and a 3000 mAh battery. 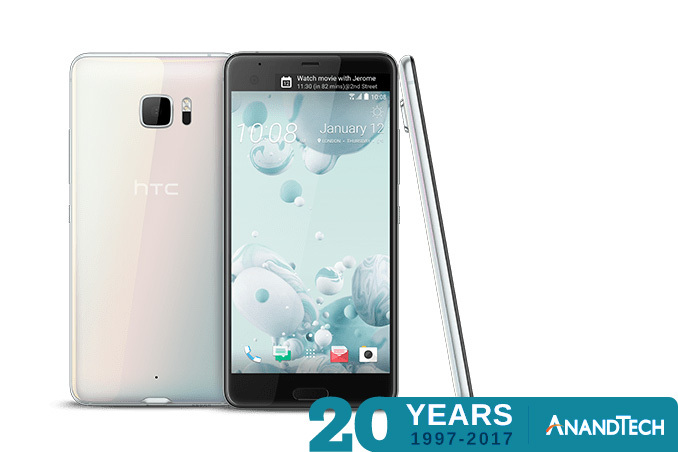 In terms of build quality, the HTC U Ultra uses aluminum frame paired with a curved glass back, and Gorilla Glass 5 for the screen on the front. Our own Matt Humrick had a chance to get hands-on with the HTC U Ultra back at CES 2017, in case you’re looking for further details and impressions.